I'm Cécile, a designer from The Netherlands. As life = new experiences, I’m that glass half-full kind of person. Enthusiastic about all kinds of media design, and not afraid to try new things. 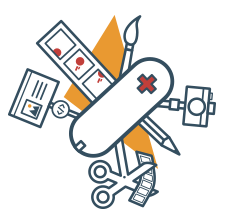 The goal is to become more and more a creative Swiss army knife, a Jack of all trades. For me it is fabulous to create something out of nothing, translating an idea into reality. By building websites, adding motion to a 3D character or just applying a bit of Photoshop magic to images, I feel like a true magician from time to time. I’d like to be the person that you rely on to get the job done.